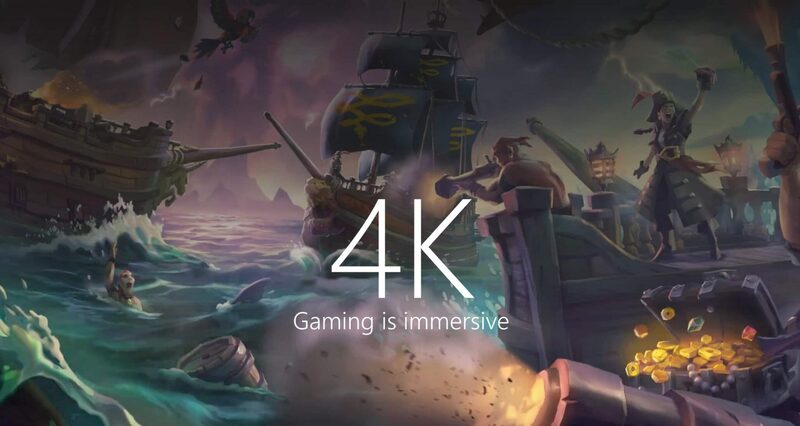 Microsoft has released a new Xbox One Alpha update which allows users to download 4K game content ahead of the Xbox One X launch next month. Available now for those in the Xbox insiders Alpha ring, the new preview build allows users to get ready for the Xbox One ahead of time by downloading 4K game assets in advance. Downloaded content can then be transferred to an external device. Those who don’t have an external storage device can choose to download the 4K content to their Xbox One console. This content can be transferred to the Xbox One X using network transfer. According to Microsoft’s Mike Ybarra, the team is planning to release the update to the public ahead of the Xbox One X’s release on November 7th. “Yes, it will be”, Ybarra said on Twitter when asked about the update’s availability. When asked whether the 4K updates will be mandatory on the Xbox One family, the Microsoft executive added that developers can choose to make it optional for players. Streamline setup on a new console by backing up your account and key system settings to an external games & apps storage device. Plug the storage device in your new console before setting up to transfer your backed up settings. To access these features, open the Guide and navigate to System> Settings > System > Backup & transfer. The Xbox One X is slated for a worldwide release on November 7.